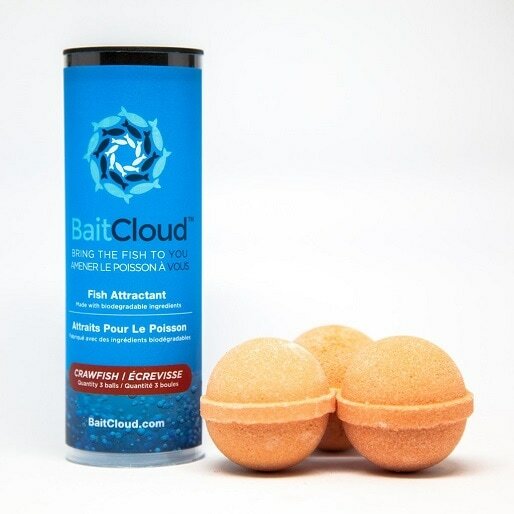 ​BaitCloud is produced in a ball approximately 1.6 inches in diameter and weighing 1.5 ounces. 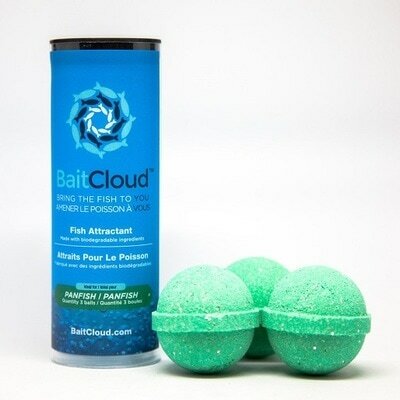 Once submerged, it starts fizzing and bubbling, which releases the concentrated attractants into the surrounding water and creates a zone of fish activity. It does not contain fish parts and is not live or prepared bait. It has a shelf life of approximately one year. 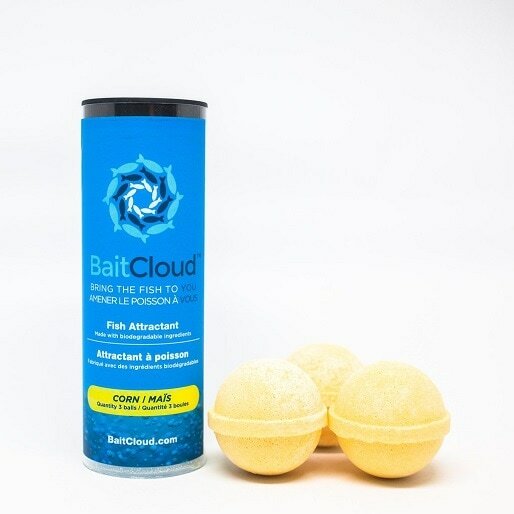 It is retail packaged in a clear plastic tube that contains three balls at an MSRP of $10.99. A point of sale display is designed into each case lot of 12 tubes for ease of retail merchandising. 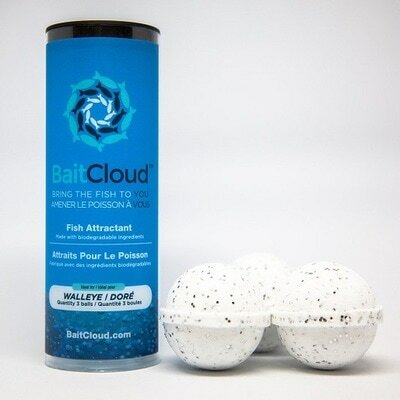 Call 800-523-6644 or email dealers@rayrumpf.com for pricing and ordering.